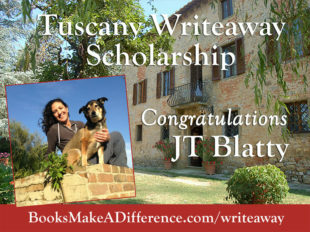 After careful review of an outstanding pool of military-connected women writers, the Tuscany Writeaway Scholarship team from Books Make a Difference, Writeaways, and Elva Resa Publishing is excited to announce the award of a full scholarship to Army veteran Jenn Tuero (JT) Blatty! Jenn will attend the weeklong writing workshop in Italy October 17–24, 2018. Her scholarship covers airfare; Writeaway tuition; room, meals and drinks at the villa; an Italian cooking class; and the opportunity to submit a manuscript for review and consultation with a senior editor at Elva Resa. Due to many high-caliber entries, we also named two Top Finalists: Lisa Smith Molinari and Melissa Seligman. Lisa and Melissa, both married to retired veterans, will receive a one-hour consultation with a senior editor at Elva Resa and the opportunity to submit their manuscripts. Three writers received honorable mention: Krystal McGuiness, an active duty USAF captain, and military spouses Kate Lewis and Nikki James Zellner. Here’s a first look at our finalists. Look for more about these writers in the September 2018 issue of Books Make a Difference. Our Tuscany Scholarship recipient, Jenn (JT) Blatty, graduated from West Point in 2000 and deployed with the first troops into Afghanistan and Iraq in 2002 and 2003 as an Army Engineer officer. After completing her military service, inspired by a love of capturing life and people via disposable cameras, notebooks, and pens, Jenn pursued photography and writing. She returned to her hometown of New Orleans after a photo internship with National Geographic Traveler in 2010. In addition to working commissions as a freelance photographer and photojournalist, Jenn is also a represented artist, a regular correspondent for the New Orleans Advocate, and a FEMA Disaster Reservist photographer. Top finalist and first runner-up, Lisa Smith Molinari writes the nationally-syndicated column “The Meat & Potatoes of Life,” which appears in Stars and Stripes, the newspaper for the US Armed Forces, and on her blog. In June, Lisa won a national first place award for 2018 print humor columns from the National Society of Newspaper Columnists. She has also contributed to several books, including the award-winning collection Stories Around the Table: Laughter, Wisdom, and Strength in Military Life. Lisa lives in Jamestown, Rhode Island, with her veteran husband, their three kids, and a yellow lab named Moby. 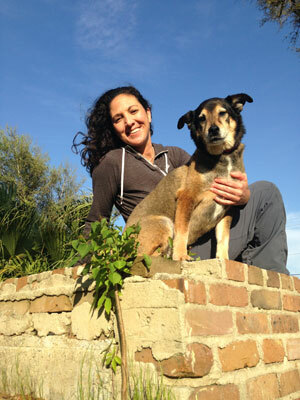 Finalist Melissa Seligman is the author of two books, The Day After He Left for Iraq, and Simply Green. 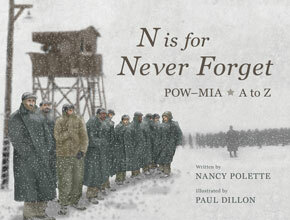 Her articles have been published in periodicals such as The New York Times and Army Times. She is a contributing author to 1001 Things to Love About Military Life, Heart of a Military Woman, and more. Melissa is the founder of the blog and grassroots movement Her War, Her Voice. She is married to a retired veteran and the mother of two children. Krystal McGuiness is an active duty USAF captain and instructor of English at the US Air Force Academy. She is working on a series of short stories representing a female perspective of combat. Kate Lewis is a military spouse, public relations specialist, and essayist. A contributing writer for Savvy Tokyo, Kate writes on parenting & family culture in Japan. She is working on a four-book series about espionage and romance in Regency England. Her family is currently stationed in Washington, DC. Nikki James Zellner is a Navy military spouse, boy mom, and the marketing communications lead for Milspo Project, a nonprofit providing resources and virtual and in-person events to military spouse entrepreneurs. Her family is currently stationed in Norfolk, Virginia. 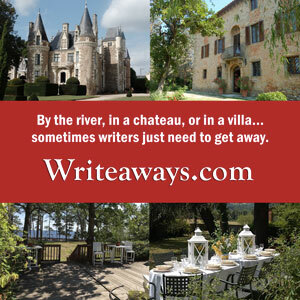 For more about the Tuscany Writeaway, follow our year-long coverage at BooksMakeaDifference.com/writeaway. This announcement was first published July 12, 2018.